TRIPLE PROTECTION – This tactical 3-layer armor case is a heavy-duty hybrid armor with full body military grade protection. Alphacell is the ultimate defender of your phone by making it impact resistant, rugged, unbreakable while protecting its ports with dust proof plugs. 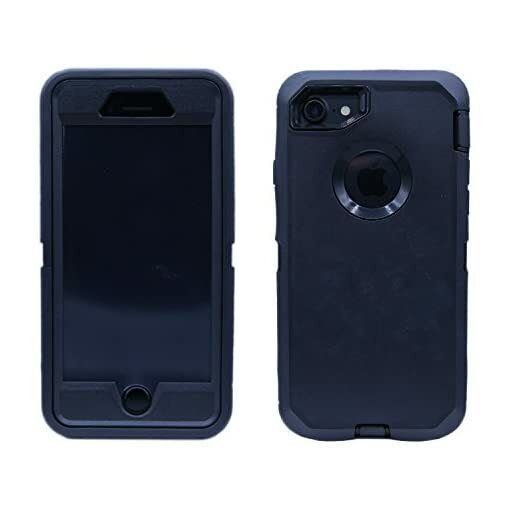 BUILT-IN SCREEN PROTECTOR – Each hard, reinforced TPU defender case offers four corner screen edge protection with a protective inlay design so rugged it’s indestructible. 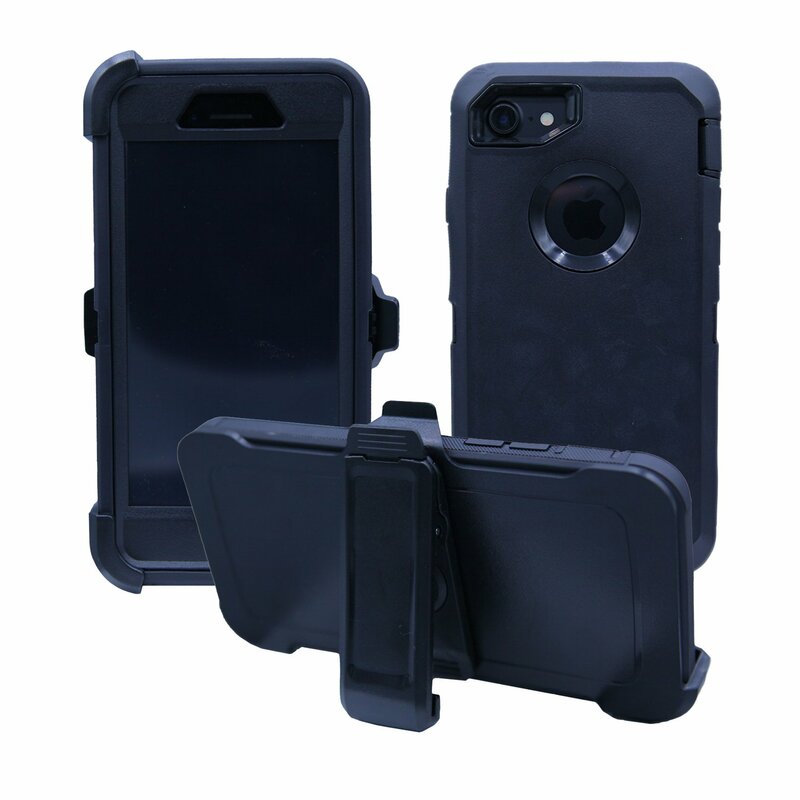 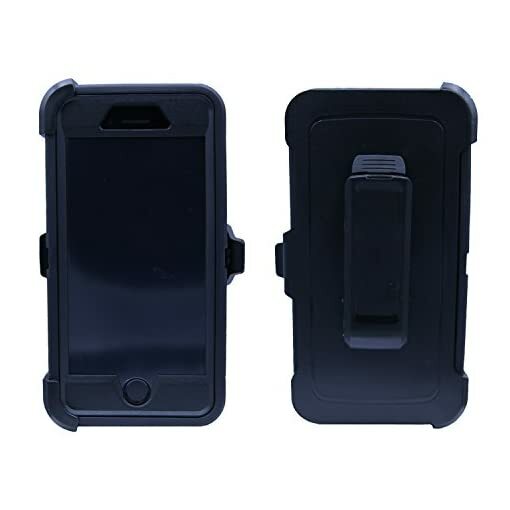 VIDEO KICKSTAND – The back of each hardshell iPhone 7 / iPhone 8 cover features a durable clip to attach to your belt and a rear stand for hands-free video watching. 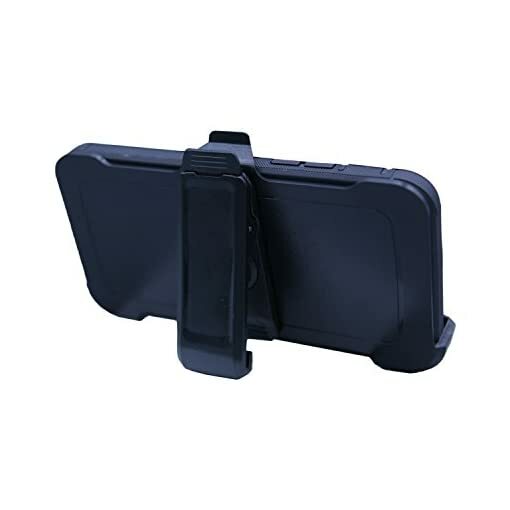 NON-SLIP CARRYING GRIP – Carry our tough hard case with confidence thanks to the strongest cushion layers, thick outdoor design, and sturdy frame made for real life. NO VISIBLE BRANDING- Offering a clean look, snug fit and unmatched resiliency, every Alphacell smartphone case is backed by unbeatable customer service and support.